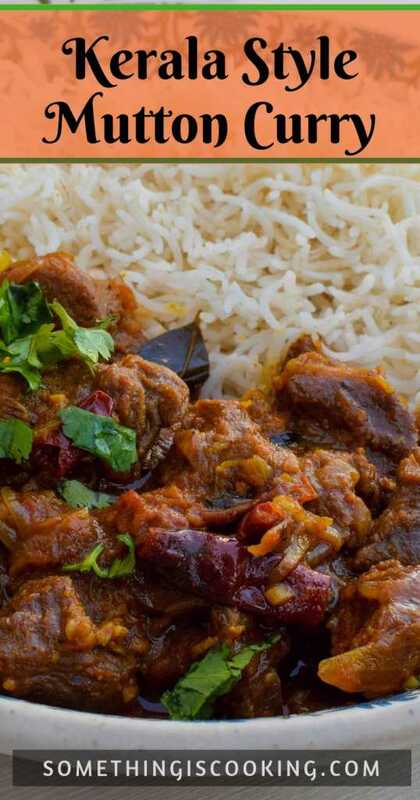 Get lost in this spicy Kerala Style Mutton Curry this holiday season! This is an easy recipe and can be prepared in a jify using a pressure cooker! There aren’t many Meat dishes in this space. So, I thought why not share this easy recipe with you. After all, it’s Christmas and this is the time when we indulge in delicious stews and curries. A traditional Christmas feast includes Finger foods, Cutlets, Appam, Stews and Curries, Biriyani, Wine, Cakes or Puddings. Yes, all of them. I will definitely put together a Christmas Menu for y’all later this month. Earlier this week I prepared this easy mutton curry in a pressure cooker. It doesn’t have any complicated ingredients and is prepared with everyday elements. I haven’t used coconut or coconut milk in this recipe. I shall soon share the traditional method of cooking Kerala Mutton Roast/Curry though. For now, here’s an effortless way of making Mutton Curry without compromising on its flavour. Kerala Mutton Curry is best had with rice, appams, pathiri or porotta. My favorite combination is with rice. You can watch the below video to know how I have prepared this. In coconut oil, saute onion and shallots along with ginger, garlic, green and red chillies, and curry leaves. Once cooked through, add tomatoes and cook until mushy. Add spice powders including Kashmiri Red Chili powder (for its colour), red chilli powder, coriander powder, turmeric powder, and any meat masala. IF you do not have meat masala, add garam masala powder. Saute until oil separates. Add mutton pieces and mix well. Transfer to a pressure cooker and add half a cup of hot water. Pressure cook for four to five whistles in medium-high heat. Tada! Serve hot with rice, roti, appams or Kerala porotta. 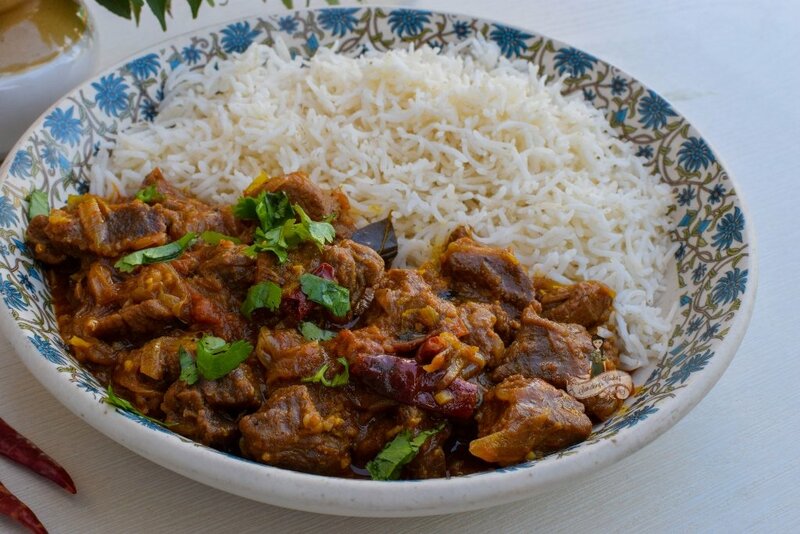 Spicy Kerala Style Mutton Curry which can be easily prepared in a pressure cooker! Add ginger, garlic, green chillies, red chillies and curry leaves. Saute. Add sliced onion and saute. Cook until light brown. Add slice tomato and saute. Cook until oil separates. Add the spice powders and mix. Cook until the spices are well-blend with onions and tomato. Add mutton and mix well. Add 1/2 cup hot water and pressure cook for 4 whistles in medium high heat. Let the pressure release and serve hot with rice, pathiri, roti, or appam. You can do the entire cooking process in a pressure cooker rather than using a separate pan. Mutton should be pressure cooked in its own moisture/water content. Adding too much water will result in a loose gravy. Still, if you would like to have more gravy, add only hot water. You can add pepper powder to make it more spicy. If you do not have shallots, add more sliced onions. Shallots are added to balance the sweetness of too much onion. Substitute meat masala with garam masala powder, if you do not have the former handy. Also, add a tsp of coconut oil in the end to enhance the flavour. Liked the recipe? You may want to pin it for later! Lastly, thank you very very much for the overwhelming response on my YouTube Channel launch. There are so many of you who pinged me across social media channels saying amazing things about this new venture. I was am truly touched and shall strive to make the videos better. 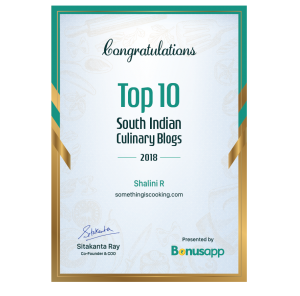 Thanks to the blogging community Blogchatter for the Blogchatter Projects through which I launched this channel. Each week I post a new video on my channel and I have been doing that ever since its launch. I am making videos of recipes which I have already shared on this space. So, if you’d like to get notified when I add the videos, request you to please subscribe to my channel and press the bell button. I would also send a monthly newsletter from now on with links to the four (or five) videos I share in a month. Not just my YouTube links, I assure you. If you are subscribed to this space, you’d receive the mail on your inbox on the 3rd of December. If you are new here, request you to please fill your name and email id to the subscription box below. I promise not to spam you. Ever! Share and connect with me on social media. If you prepare a recipe from this space, send a photograph across or tag me on social media. I will feature it here. Oh yummy! I’m sure you know already that I love Kerala food. I often make meat curries using the Kerala meat masala packets, but something from scratch would be so much better! Hey, Shalini! First of all, heartiest congratulations! 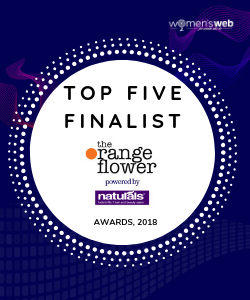 Your name was announced in the top five bloggers chosen from the 25 semifinalists at the Orange flower awards, yesterday. I so wanted you to win it…you totally deserve it, you know? Absolutely yum! This reminded me of Mom’s mutton curry. Perfect for the winter season. Except for the coconut oil and curry leaves, this is pretty much the way I make my mutton curry. I always cook in a pressure cooker much to the annoyance of purists because I feel that time is of the essence – And since the food I cook is over in a jiffy, there’s no point in slaving over a stove. Is there?